This post has been written in partnership with Gameband. All opinions are 100% my own. My kids love Minecraft, and they love Minecraft themed stuff like snacks and crafts. 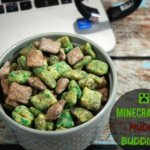 One of their favorite snacks is muddy buddies, so I decided to whip up a little themed Minecraft Muddy Buddies. It’s perfect for after school snack time while they’re playing video games to relax and wind down before we start homework. Do yours kid take over your computer after school? All three of mine do. This muddy buddies mix has two flavors – Cake Batter and Chocolate Peanut Butter. The green is Cake Batter, and the brown is Chocolate Peanut Butter (my fave!). When I make muddy buddies, I like to make it in zipper storage bags. It’s easier to cover the cereal with the melted candy melts or chocolate and doesn’t make a huge mess. Plus, it’s an easy way for the kids to make it themselves with a little supervision. One thing I did learn was to not heat the candy melts in the storage bags. I learned that lesson the hard way. The bags will melt together into one big mess. Measure out 3 cups of cereal into one gallon size storage bag and then measure out another 3 cups into another gallon size storage bag. In one bowl, combine 1/4 cup butter, chocolate candy melts, and peanut butter. Then, microwave for 30 seconds at a time until completely melted. Stir to combine before pouring into 1 storage bag of cereal. Once poured in, seal the bag and shake to cover the cereal. Next, add 3/4 cup of powdered sugar, reseal the bag, and shake again to cover. Then, add 2 teaspoons of cocoa powder, seal the bag, and shake again. Once you feel the cereal is totally covered, pour it onto wax paper to dry. Next combine the other 1/4 cup of butter and green candy melts in a second bowl and heat for 30 seconds at a time until melted. Stir until smooth, then pour into the second bag of cereal. Seal the bag and shake to cover the cereal. Next, add 3/4 cup of powdered sugar and 1/4 cup of white cake mix. Seal the bag and shake until well covered. If it’s not green enough for you, add a few drops of food coloring and shake again. Add 2 teaspoons of cocoa powder and shake one last time. Next, pour the cereal out onto wax paper and allow it to dry. Once both cereals are dry (after about 10-15 minutes), combine and serve. 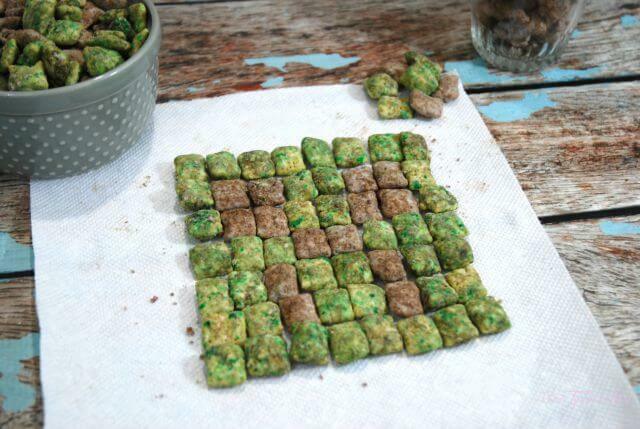 One idea my tween had was to make his own grass block with his snack. We didn’t have any clear cube-shaped glasses, so he just made it in a regular juice glass and then used a spoon as a shovel. We even had a little contest making our very own Creeper faces with the muddy buddies. Love Muddy Buddies? 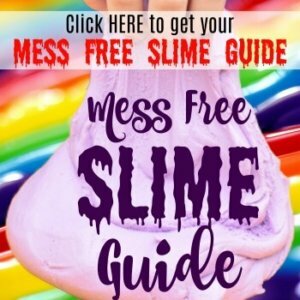 Check out these other flavors! Teaching vs Tech – What Matters More? My 9-year-old grandson loves Minecraft and he’s always showing me such cool things he’s created. He would absolutely love the Gameband and we would all enjoy the muddy buddies. My second graders love Minecraft. It is so popular. I think they would love it if I brought in a treat like this. What a fun looking treat. My kids love all things Minecraft so they would love this recipe. But that game band is really cool. I’m going to look into that! Admittedly I don’t get the attraction to Minecraft, but I know our kids really enjoy playing it so much. This looks like a super fun snack to give them while they play though – I am sure that they would love it! 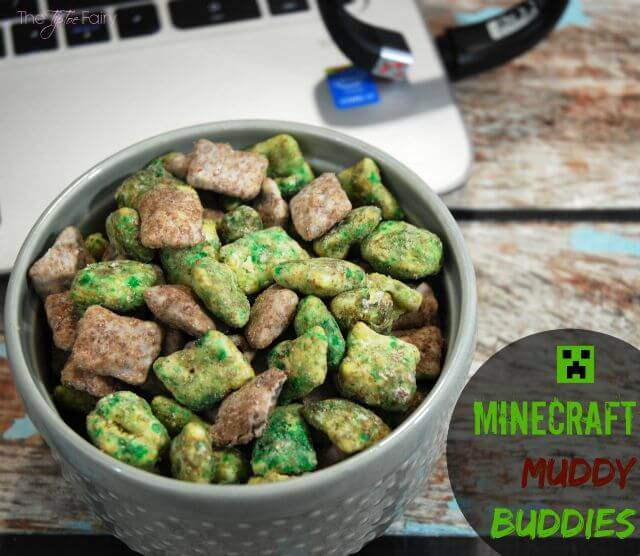 These Minecraft Muddy Buddies are brilliant! 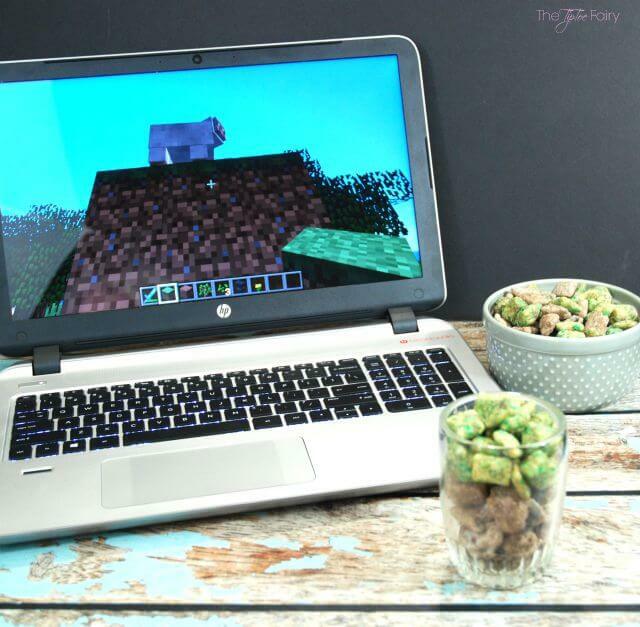 My daughter and nephew are completely immersed in everything Minecraft and would love this fun snack! 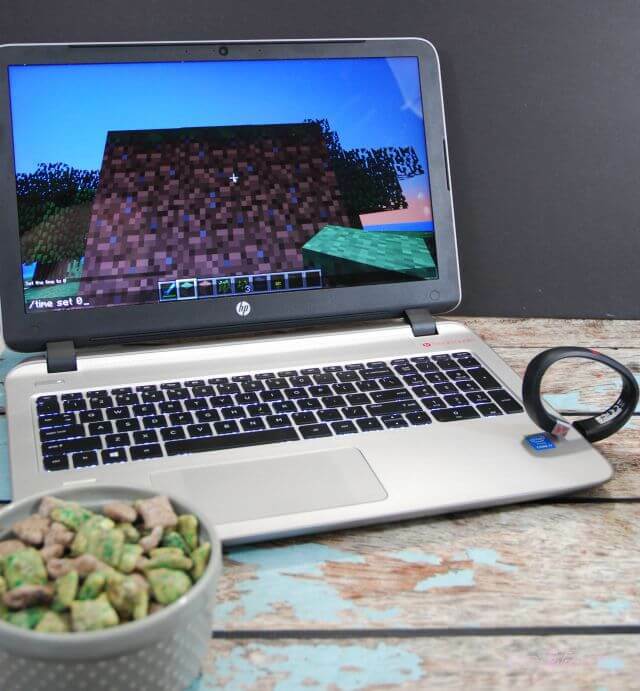 I love the idea of the Game Band too….because my kiddos love to comandeer the computer when they get home from school! It’s so cool how Gameband makes Minecraft so much more portable. I’m loving the Muddy Buddies! How fun and festive! 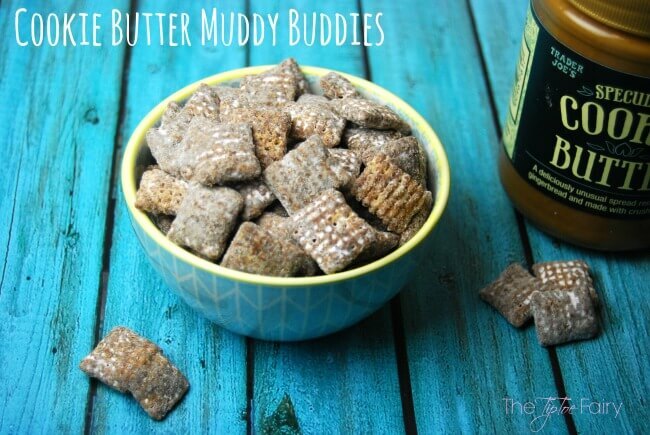 I love muddy buddies and these look so delicious! 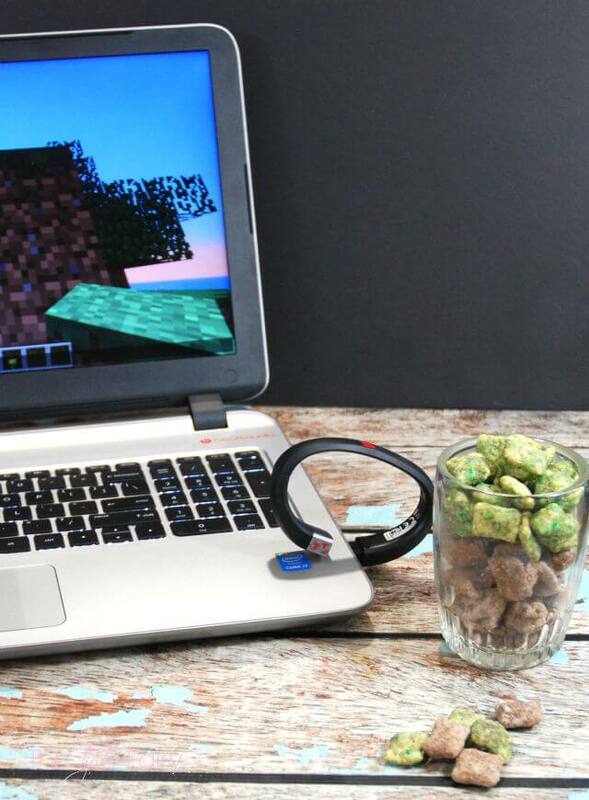 While I know nothing about mine craft, those look like fun snacks. I like the camo colors. I’ve never heard of this before, but it looks good. My kids are grown and long gone so I don’t have to share anymore haha. I’ll have to try this. My kids would love this snack mix! It would be absolutely perfect for a Minecraft party too. My son loves Minecraft. Although he has never played he likes to watch videos of people that do. These would be super cute to make with him. This is great! My son is a minecraft die hard & he would be over the moon with these treats! My son is hooked on this game. I’ve had him stop playing it because it’s all he thinks about. Those treats look awesome! My boys aren’t old enough to be into Mine Craft yet but I’ll take an excuse to make muddy buddies any day! Omg this sounds great! I swear every kid I know is mind craft obsessed. They would all get a kick out of this. I’ve heard so much about Minecraft and other than it being a video game, I really know nothing about it. I need to check it out. I feel so out of the loop! What a cute way to snack and have fun! Plus I love muddy buddies!